The Africa-USA International Chamber of Commerce and Industry (AfUSA) is a non-profit, mutual benefit business organization established to promote bilateral trade, commerce, economic development, education, and cultural exchange between the people and business enterprises of the United States of America and the nation states of Africa. AfUSA integrates the essential education, training, cultural and service elements for strong Africa-USA business development. 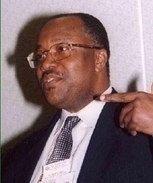 The AfUSA concept originated in 1987 when AfUSA President Dr. Reuben Jaja in collaboration with Los Angeles’ Mayor Tom Bradley and several academicians and business leaders determined that no realistic forum existed in the USA for the promotion of trade and investment between the United States and Africa. After 5 years of research and development, the Chamber was formed in 1992.